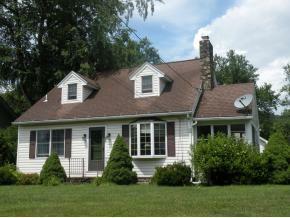 Charming 3BR, 2 full bath Cape Cod on double lot. First floor laundry w/washer & dryer. Sunroom off LR and nice rear Florida Room leads to level yard. Andersen replacemnet windows, first floor has HW floors and stone FP in LR. Excellent location near elementary school. , Binghamton, NY 13901 is a 3 bedroom, 2 bath single family home was sold for $122,234.